@fazlieiza is on Carousell - Follow to stay updated! EXTRA EXTENTION WINDSHEILD UNIVERSAL UNTUK SEMUA JENIS MOTOR.PNP READY STOCK!! 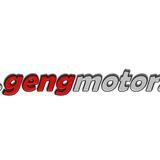 SILA CHAT @ WHATSAPP 👉🏼 http://gengmotor2.wasap.my 👈🏻😊	UNTUK INFO LANJUT DAN JUGA NEGO HARGA SAMPAI JADI..